Join our amazing team and learn how to build the best robots. Like to create? So do we. Since our inception, we've strived to provide a space that allows students to succeed alongside their peers as a team. Robotics isn't exactly easy, but that's what makes us stronger. From our seasoned design leads to our young and enterprising engineers, we welcome anyone willing to put themselves to the test and compete against thousands of bright minds from around the world. As we move forward, we will grow, take on new competitions, and complete more projects. We are a community of designers, creators, and innovators. At the start of every semester, members form teams to compete with at RoboGames. Teams spend months crafting the most efficient and practical designs using industry-leading tools. Each group machines parts using UC Berkeley's lab and begins to build their project. More than a semester's worth of effort culminates in this one-day event, where robots battle for glory. Due to the cancellation of RoboGames, RoboBears will be hosting its own 3lb competition on March 31, 2019. The event will take place from 11 AM to 5 PM inside UC Berkeley's Pauley Ballroom. Huge thanks to Bot Bash Party for providing the arena! Sheila is a 60lb wedge- and lifter-bot we built during our first year as a team in 2016. We underestimated the complexity of the bot and were unable to compete with it at RoboGames; however, we learned many lessons in the process that are helping us with our wedge-bot this year. 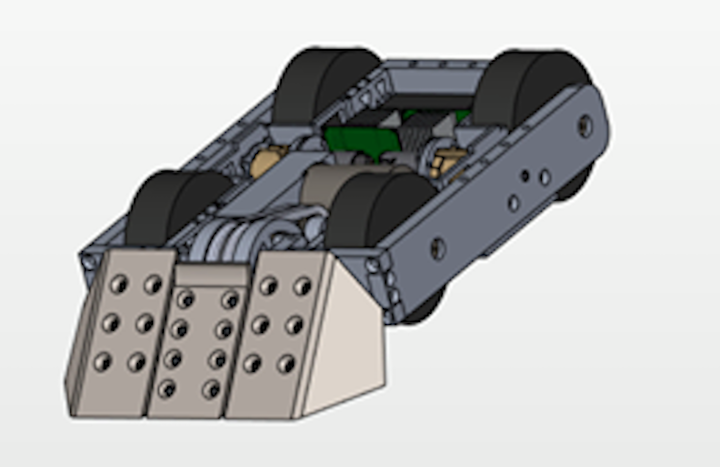 We have finished the CAD design of our newest 60lb bot. 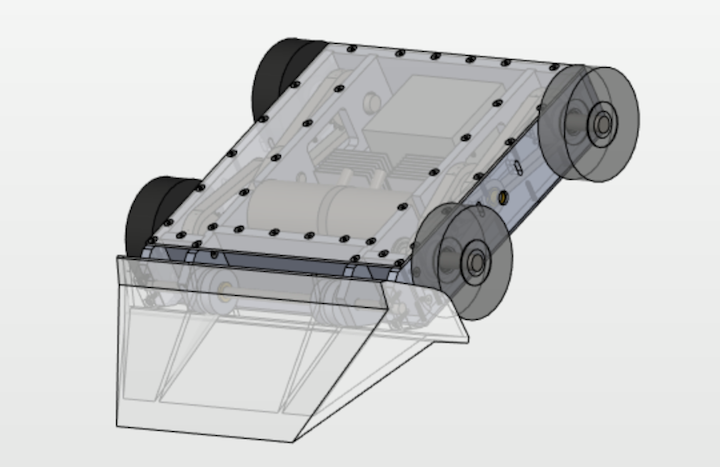 We are currently machining and assembling the bot and hope to have it completed in the near future. The Khila competed as a 3lb double-horizontal-spinner-bot at RoboGames in 2018. Though the bot didn't fare well at the competition, it successfully paved the way for the three 3lb bots that our team has been working on this school year. 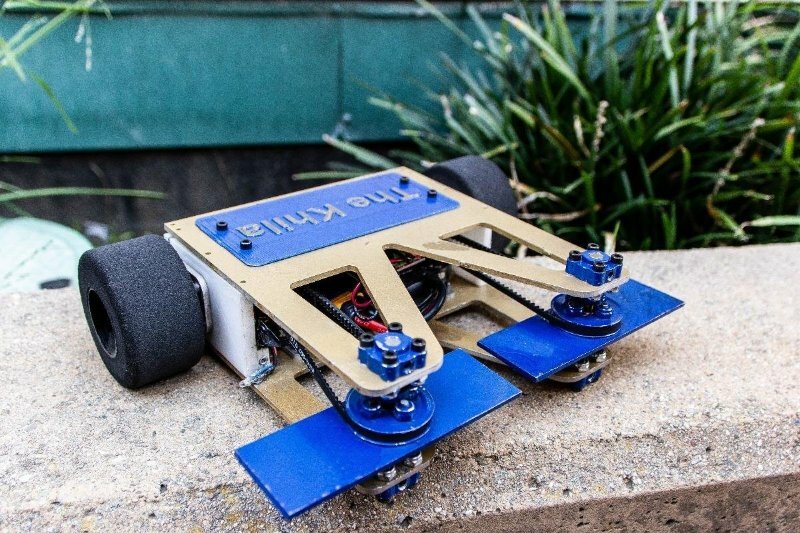 Join the best robotics team at UC Berkeley!